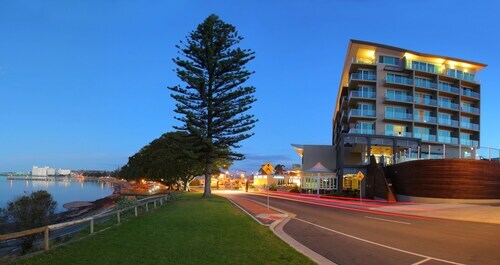 Located in the heart of Port Lincoln, this hotel is within 1 mi (2 km) of Makybe Diva Statue and Axel Stenross Maritime Museum. Port Lincoln Racecourse and Winter Hill Lookout are also within 3 mi (5 km). 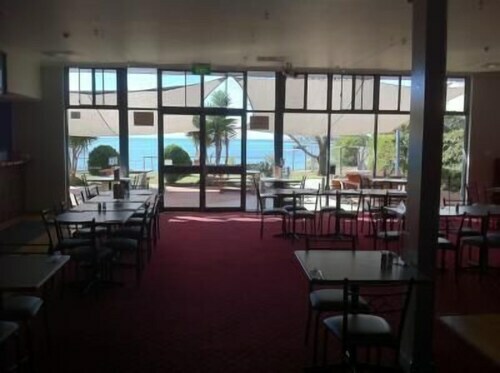 Nestled on the beach, this Port Lincoln motel is within 2 mi (3 km) of Port Lincoln Visitor Information Centre, Axel Stenross Maritime Museum, and Porter Bay. Port Lincoln Racecourse and Boston Bay Wines are also within 6 mi (10 km). 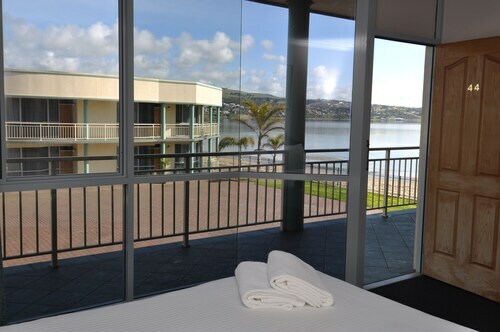 Situated on the waterfront, this hotel is within 2 mi (3 km) of Ravendale Complex, Port Lincoln Racecourse, and Porter Bay. Port Lincoln Visitor Information Centre and Makybe Diva Statue are also within 3 mi (5 km). Situated in Port Lincoln, this cabin is within 1 mi (2 km) of Makybe Diva Statue, Port Lincoln Visitor Information Centre, and Nautilus Art Centre. Glen Forest Tourist Park & Vineyard and Porter Bay are also within 2 mi (3 km). 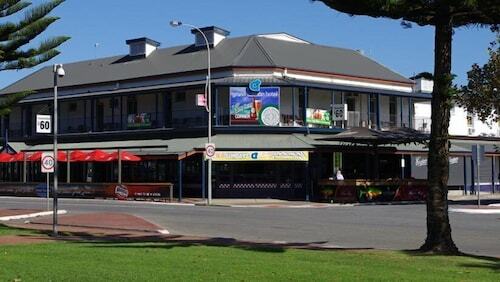 Offering direct access to the beach, this Port Lincoln hotel is within a 10-minute walk of Makybe Diva Statue and Port Lincoln Visitor Information Centre. Nautilus Art Centre and Glen Forest Tourist Park & Vineyard are also within 15 minutes. Set on the shores of Australia’s largest natural harbour Boston Bay, Port Lincoln is an aquatic playground on the breathtaking Eyre Peninsula. 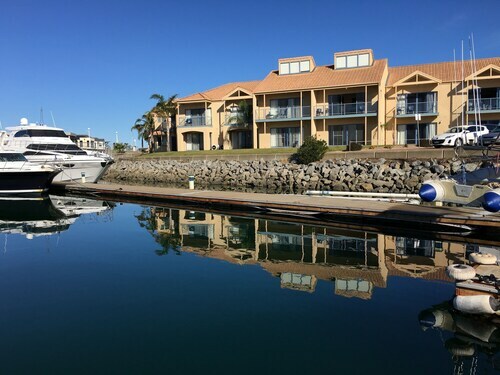 Stay in our Port Lincoln accommodation and explore the coastal highlights, from Spencer Gulf to the Great Australian Bight, the Lincoln Cove Marina to the numerous jetties that stretch into the sea. The self-proclaimed seafood capital of Australia, Port Lincoln is a delight for lovers of all kinds of sea fare. A sampling of the local seafood is a must when you stay in a Port Lincoln hotel and there is no shortage of restaurants and eateries serving it fresh to your plate. There are also plenty of perfect spots to cast a line yourself, and the local tackle shops can direct you to their favourites while you buy your bait. Looking for some adventure? Thrill seekers should head out on the open sea; big game fishing, diving tours and yachting are all excellent ways to explore the beautiful waters of the Great Australian Bight. But if you are feeling really bold while you stay in our Port Lincoln hotels then there is only one activity for you; Shark Cage Diving. Get lowered into the open water and experience the pure adrenalin rush of being face to face with a Great White Shark. Need insider tips on must-see attractions in Port Lincoln? Check out our Port Lincoln travel guide! How Much is a Hotel Room in Port Lincoln? Hotels in Port Lincoln start at AU$51 per night. Prices and availability subject to change. Additional terms may apply. Outstanding shower. Very good general hotel - meals, bar service, breakfast, centre of town, very good beds, rear parking. Great spot beautiful view lovely staff would stay again . Liked everything, a great place to stay. Restaurant was wonderful. Most staff wete excellent, a few cut you short.